Contact Us Questions about the program? Contact us today. Following an opening weekend drubbing of Mississippi State 15-1, Vanderbilt cruised to a 7-2 win in its weekend opener versus SEC rival South Carolina despite an even split of 24 penalties. The Dores dropped a chippy Game 2 against a stout and stubborn Gamecock Defense. 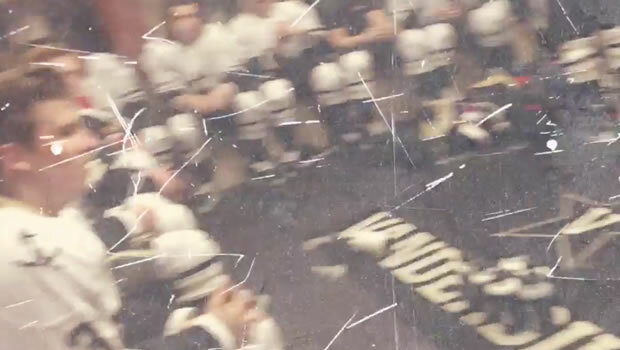 The Vanderbilt Commodores Ice Hockey Club kicked off its season with an SECHC matchup against Mississippi State in what proved to be a lopsided affair that saw a little bit of everything – a 10-goal first period, goals from a slew of freshmen, appearances by all three Commodore goalies, and even the club’s first live-streamed event on Periscope. 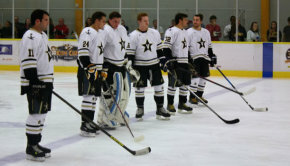 In attendance were a number of VU Hockey greats in town for the club’s alumni game set for the following Saturday. The legends dated from 1976 (Wade Cowan) through the mid-90s (Roland Baggot) and all the way up to the 2000s (Jordan Katz, Ryan Weekes, and Scooter McLaughlin), to name a few. It was a fantastic start to the season for the club and a great weekend for all involved – current and alumni players, both on and off the ice. 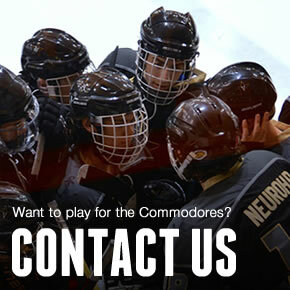 The following weekend saw the Commodores square off against perennial SEC power South Carolina. Having split with SC the previous two seasons, Vanderbilt’s goal was to sweep the weekend and set the tone for the season. Unfortunately, like the previous two, the club would only get halfway to that goal. In Game 1 of the weekend, the Gamecocks took an early lead in the first period after a puck from the point deflected off multiple defenders and looped its way over Commodore net minder Ryan Kellenberger’s shoulder into the net. Nick Honkala would knot the game up with 7:24 remaining, and after the intermission, scored again to put the Commodores ahead 2-1 just over 2 minutes into the period. Freshman Jeremy Gross proceeded to score after a filthy setup from rookie Sophomore Patrick McNamara, extending the lead to 3-1. Patty Mac made his way past one defender and bounced back around another before dishing a great pass to an open Gross. The freshman buried his chance, and followed it up with an even better celebration, uncharacteristic of a young rookie. The ‘Dores took a two-goal advantage into the second intermission. It was all gas for Vanderbilt in the third period. Nick Sanchez, another rookie Sophomore, opened the scoring 2:07 into the period for his first career goal, and would add another eleven minutes later in the period. Ryan Doppelheuer would add 2 goals as well, one of which was a well-placed wrist shot to the top shelf on the power play. Those goals came courtesy of 2 assists from Doppelheuer, two from captain John Longman, two from Sanchez, and one from Zach Satin. Senior goaltender Ryan Kellenberger, fresh off of his SEC-MVP winning season, made 27 saves on 29 shots for the ‘Dores. The game would end 7-2 in favor of Vanderbilt, but not before the referees called 24 penalties (12 on each team), most of which were contested by both teams’ coaches. South Carolina proved a much tougher opponent in the second game of the weekend, coming out with more intensity and physicality than in the opener. Vanderbilt absorbed the pressure well early on behind great play from Kellenberger. 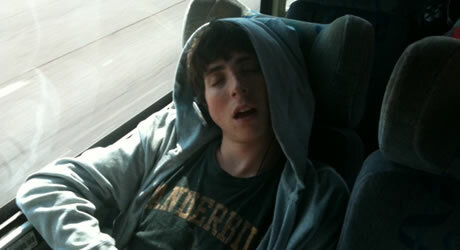 It wasn’t until a little over halfway through the second period when the Commodores finally broke through. Rookie Senior Spencer “Rosie” Rosenstein broke the deadlock with an incredible wrist shot. He stripped a defensemen on the doorstep, and falling over, managed to roof one directly above the head of the Gamecocks goalie. Rosie of course cele’d, though his form fell short of the rookie Gross. The Gamecocks would knot the game minutes later and the game eventually became a back and forth affair of chances, but the Gamecocks had the last one, and buried it with under 3 minutes remaining. The ‘Dores couldn’t rally back from there, and fell 2-1. The weekend split leaves the ‘Dores’ record at 2-1. Their next games are home for the Scholar Shootout Tournament, where Vanderbilt is looking to defend its title (and the coveted Keith Davis Memorial Trophy – a.k.a. “The Davey”). The 3-game weekend will include match-ups against Georgia Tech on Fri. October 7, Notre Dame Sat. October 8, and Northwestern Sun. October 9.